3 skins for Wolf257's P-51D. There is no nose art with these skins. Wolf257 - for the P-51D model. Pappychksix - for the 343rd skin I repainted from his SF1 Evelyn skin. Amariani - for the decals from his SF2 P-51D ETO skins. I don't know who created the WW II pilot or the drop tanks. They've been around since the dinosaurs. But thanks to those creators. If you wish to paint your own skins, the template is available for the asking. Just PM me. It is in .psd format. These skins are in .bmp format and were created at 2048 pixels. They are 12MB each but can be downsized for those of you who can't use them this large. If I forget or miss anyone who deserves credit for anything I release, I apologize. I have no intent to abuse or misuse anyone's work or property or claim it as my own. Please contact me to correct any error. INSTALLATION: Unzip to a folder/place of your choice. Copy, Move, Drag-n-Drop or do whatever you wish to get the folders into their corresponding folders in your SF1 ETO install. If you don't already have the weapon information in your weapondata.ini file, add it. Run the SF1 Weapons Editor. Fly. I'm releasing this under the Combat Ace Fair Use Agreement. Use it anyway you wish for personal use but please give credit to those due it. If you find any problems with it, please PM me. If you improve it, please share. This is a package of two P-51D skins using the current Fuerza Aérea Colombiana grey paint scheme used for the Super Tucano. One version of the skin has a "shark mouth" on the nose. Nationalities are USA and Spain. 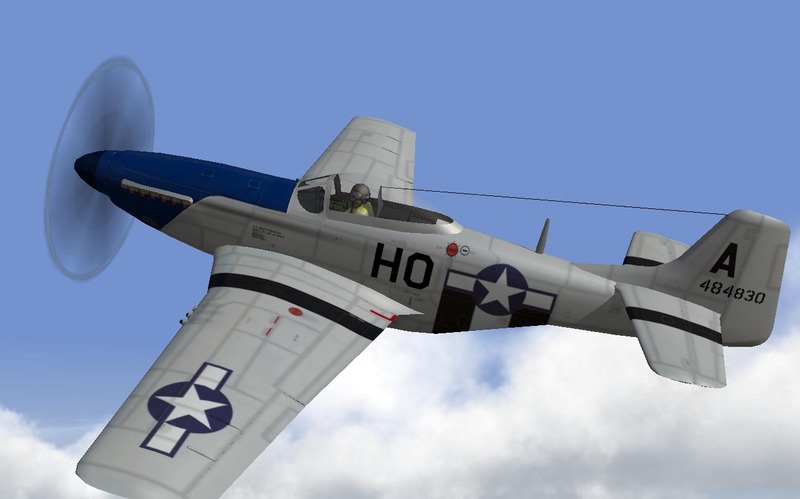 Copy the folders to your Saved Games\DCS\Liveries\P-51D folder. Then, you can move all of the DDS files from each of the skin folders to this new folder you've added to your path. Allowing overwrites is not a problem, as I use unique names for each file. Finally, be sure to go into each description.lua file and change all "false" entries to "true." StrikeFighter2 World War II (ETO) Hi-Res 1920x1080 Menu Screens and Music! View File StrikeFighter2 World War II (ETO) Hi-Res 1920x1080 Menu Screens and Music! This mod includes custom "World War II" themed menu screens and pilots for the ETO package I hope someone will make in the future (if not already made that I don't know about). You should unzip the file and preview the new screens before installing them. I recommend doing this as there are MANY alternate screens I have in there that you might like better. If you choose to install these screens, I recommend that you back up (make a copy of) your FLIGHT, MENU and PILOTDATA folders in the SF2 Mod folder you're installing this mod into. Just in case you want to go back to your original setup. To install, simply unzip and copy the uncompressed FLIGHT, MENU and PILOTDATA folders to your StrikeFighter2 mod folder. To remove, simply delete the FLIGHT, MENU and PILOTDATA folders and rename the copies you made to FLIGHT, MENU and PILOTDATA folders.